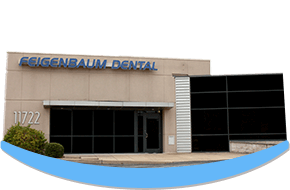 At Feigenbaum Dental, we care more about your overall wellbeing than just the health of your teeth and gums. We provide oral cancer screenings using the effective and noninvasive VELscope screening device. It is estimated, over 48,000 Americans will be diagnosed with a form of oral cancer this year. Unfortunately, there is only a 50% survival rate after 5 years due to the fact the cancers are not diagnosed until they have reached the later stages in development. As a dentist in Creve Coeur for preventive care, we provide earlier detection through regular oral cancer screenings. Oral cancers are categorized as a group of cancers that are found in the head and neck, affecting the oral and pharyngeal areas. All too often, symptoms of oral cancers are not found in these areas because signs of the disease can be difficult to see with the naked eye. It usually is not until after the cancer has metastasized to other areas in the body that the cancer is detected. How can the death rate and long-term survival rate both be higher? Statement seems to contradict itself. Currently, the United States does not have a comprehensive program or guidelines in place to screen for the disease. As a result, it falls on an individual’s responsibility to seek a regular screening. To promote the early detection of cancerous and precancerous cells, we use the most advanced technology to find potential cancer concerns early. Feigenbaum Dental uses VELscope to provide routine oral cancer screenings. This is a light-based detection system to provide fluorescence visualization to highlight cancerous and precancerous cells. Using the light-based system, the screening process is simple and noninvasive. Using VELscope technology, the epithelial cells and stroma are stimulated by a blue light. The tissue is self-fluorescence, allowing the detection of changes in the composition of the tissue. This allows us to see more into your oral health than what is visible to the naked eye. It aids our ability to detect and treat potentially cancerous areas early on. Using cancer detection tools like VELscope, our ability to offer more accurate and less invasive treatment options enhances the care we provide our patients while keeping your comfort in mind. In addition to VELscope, we will also provide a comprehensive visual examination to look for signs and symptoms of caner, such as the presence of unusual patches in the mouth, persistent sores, and areas of numbness. Feigenbaum Dental can provide oral cancer screenings as part of preventive care. During your routine checkup and dental cleaning, we can perform the simple screening to monitor for the development of oral cancer. Our team at Feigenbaum Dental cares about your health as a whole. While working to promote the health of your teeth and gums, we offer the convenient screenings you need for early oral cancer detection. If you need an oral cancer screening, please contact our office to schedule an appointment.